Hey, kids. Want to write the future? Ask your parents to read this. Build your own game! At last. It’s the family guide to the core skill that every forward-thinking kid needs to know. The future is going to be all about coding. So learn to write it just like you write the ABC. Make animations. Design games. Build apps. Doesn’t that sound exciting? This simple guide shows you how to start coding quickly and easily at home. It has a colourful layout, exciting starter projects and clear steps. 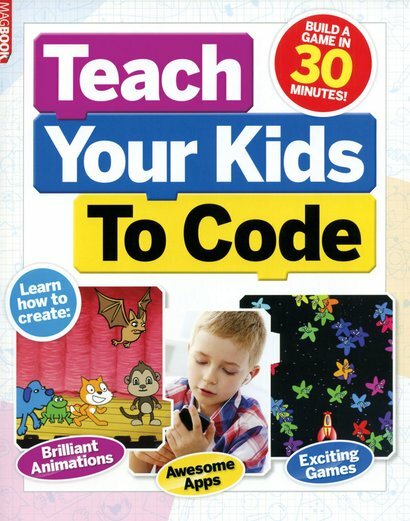 Although it’s written to parents, the fun projects are all for you. Start here if you dream of building the next Minecraft!